October is SIDS Awareness month. More than 3,500 babies in the U.S. die annually from SIDS and SUIDS; in the last five years in Allen County, 23 babies have died from SIDS. One of the best ways to prevent SIDS and SUIDS is to put your baby in a safe sleep environment. C—baby should be in a Crib or pack-n-play, not on a couch or in mom or dad’s bed. These rules could mean life or death for a baby; but still, our Pinterest feeds and makeover shows are filled with images of unsafe sleep environments—pillows and blankets and toys galore. That’s why for the month of October, Healthier Moms and Babies is hosting the Flip This Crib Safe Sleep Sweepstakes where we’re inviting you to #FlipThisCrib and show off your images of safe, yet cute sleep environments. They can be images of any nursery where someone isn’t going to kick you out for being there. 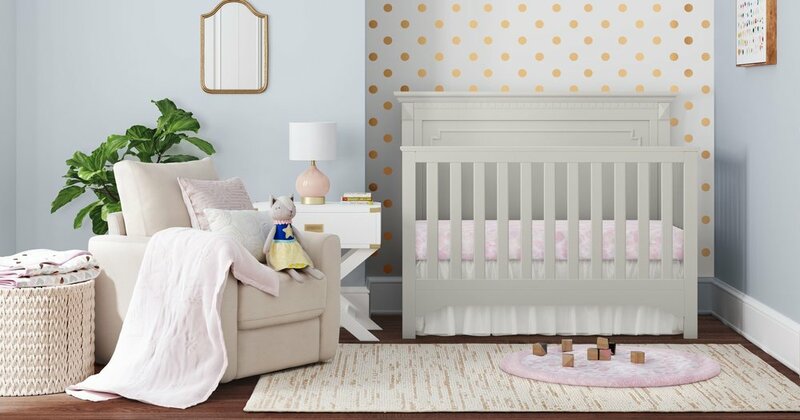 The Grand Prize Winner will win design time with Megan Gaerte of West Central Home to design a nursery, $150 to Target, two gallons of paint and $25 from Umber’s Do It Best, $100 to Matilda Jane, and a newly released Matilda Jane bedding set, similar to the one seen below! The Second Prize Winner will win $100 to Matilda Jane! To participate, submit a photo or photos via email, direct message, or by tagging Healthier Moms and Babies on Instagram or Facebook showcasing a safe sleep environment. Each photo will be reviewed by Healthier Moms and Babies; if your photo does not meet these requirements, you will be notified. Each qualifying photograph will equate as an entry. The winner will be announced October 29, 2018 at 11am EST. 1. Eligibility: The HMB Safe Sleep Sweepstakes is open only to those who submit photos via email, direct message, or by tagging Healthier Moms and Babies and who are 18 years of age or older as of the date of entry. The Campaign is only open to legal residents of The United States and is void where prohibited by law. The Campaign is subject to all applicable federal, state, and local laws and regulations. Void where prohibited. 2. Agreement to Rules: By participating, the Contestant (“You”) agree to be fully unconditionally bound by these Rules, and You represent and warrant that You meet the eligibility requirements. In addition, You agree to accept the decisions of Healthier Moms and Babies as final and binding as it relates to the content of this Campaign. 3. Campaign Period: Entries will be accepted online starting October 1 2018 at 12am EST and ending October 26 2018 at 11:59pm EST. All online entries must be received by October 26 2018 at 11:59pm EST. 4. 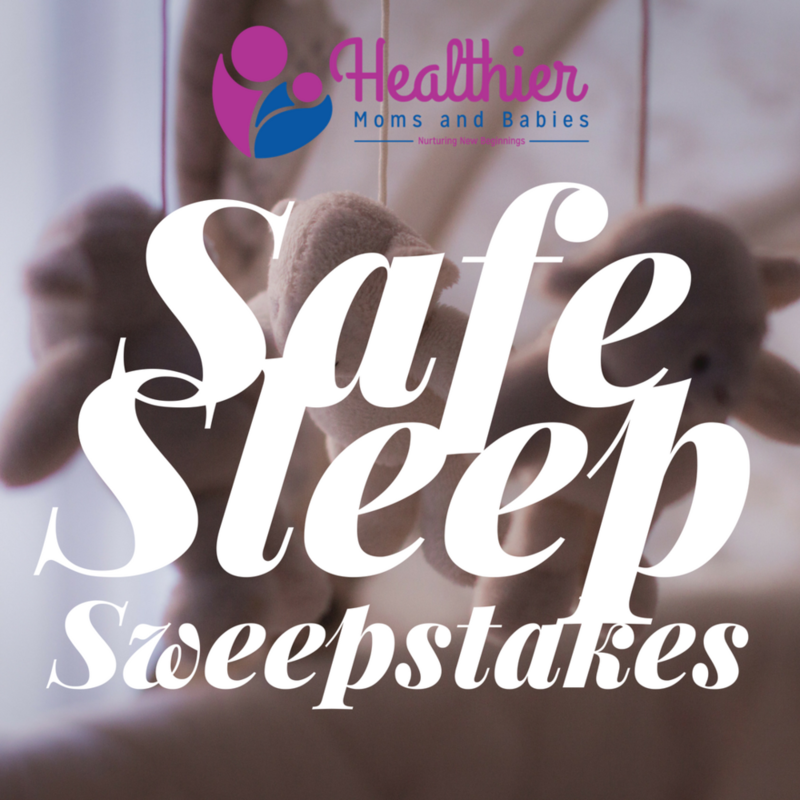 How to Enter: The HMB Safe Sleep Sweepstakes must be entered by submitting photo(s) to Healthier Moms and Babies via email, direct message, or by tagging Healthier Moms and Babies on Instagram or Facebook. The entry must fulfill all Campaign requirements, as specified, to be eligible to win a prize. Entries that are incomplete or do not adhere to the rules or specifications may be disqualified at the sole discretion of Healthier Moms and Babies. For each unique photo (as deemed unique by the discretion of Healthier Moms and Babies), you will be entered into the sweepstakes once. If You use fraudulent methods or otherwise attempt to circumvent the rules, your submission may be removed from eligibility at the sole discretion of Healthier Moms and Babies. 5. Prizes: The Winner(s) of the Campaign (the “Winner”) will receive design time with [insert company here] and gift cards to Matilda Jane. Actual/appraised value may differ at time of prize award. The specifics of the prize shall be solely determined by Healthier Moms and Babies The prize is nontransferable. Any and all prize-related expenses, including without limitation any and all federal, state, and/or local taxes, shall be the sole responsibility of Winner. No substitution of prize or transfer/assignment of prize to others or request for the cash equivalent by Winner is permitted. Acceptance of prize constitutes permission for Healthier Moms and Babies to use Winner’s name, likeness, and entry for purposes of advertising and trade without further compensation, unless prohibited by law. 7. Winner Selection and Notification: Winner will be selected by a random drawing of entered names under the supervision of Healthier Moms and Babies. Winner will be notified by means of a social media announcement on Instagram and Facebook within five (5) days following selection of Winner. Healthier Moms and Babies shall have no liability for Winner’s failure to receive notices due to spam, junk e-mail or other security settings or for Winner’s provision of incorrect or otherwise non-functioning contact information. If Winner cannot be contacted, is ineligible, fails to claim the prize within 30 days from the time award notification was sent, or fails to timely return a completed and executed declaration and release as required, the prize may be forfeited and an alternate Winner selected. Receipt by Winner of the prize offered in this Campaign is conditioned upon compliance with any and all federal, state, and local laws and regulations. ANY VIOLATION OF THESE OFFICIAL RULES BY WINNER (AT HEALTHIER MOMS AND BABIES’ SOLE DISCRETION) WILL RESULT IN WINNER’S DISQUALIFICATION AS WINNER OF THE CAMPAIGN, AND ALL PRIVILEGES AS WINNER WILL BE IMMEDIATELY TERMINATED. 8. Rights Granted by You: By entering this content (e.g., photo, video, text, etc. ), You understand and agree that Healthier Moms and Babies, anyone acting on behalf of Healthier Moms and Babies and Healthier Moms and Babies’ licensees, successors, and assigns, shall have the right, where permitted by law, to print, publish, broadcast, distribute, and use in any media now known or hereafter developed, in perpetuity and throughout the World, without limitation, your entry, name, portrait, picture, voice, likeness, image, statements about the HMB Safe Sleep Sweepstakes, and biographical information for news, publicity, information, trade, advertising, public relations, and promotional purposes. without any further compensation, notice, review, or consent. 9. Terms & Conditions: Healthier Moms and Babies reserves the right, in its sole discretion, to cancel, terminate, modify or suspend the Campaign should virus, bug, non-authorized human intervention, fraud, or other cause beyond Healthier Moms and Babies’ control corrupt or affect the administration, security, fairness, or proper conduct of the Campaign. In such case, Healthier Moms and Babies may select the Winner from all eligible entries received prior to and/or after (if appropriate) the action taken by Healthier Moms and Babies. Healthier Moms and Babies reserves the right, in its sole discretion, to disqualify any individual who tampers or attempts to tamper with the entry process or the operation of the Campaign or website or violates these Terms & Conditions. Healthier Moms and Babies has the right, in its sole discretion, to maintain the integrity of the Campaign, to void votes for any reason, including, but not limited to: multiple entries from the same user from different IP addresses; multiple entries from the same computer in excess of that allowed by Campaign rules; or the use of bots, macros, scripts, or other technical means for entering.